At least two people responsible for targeting Ecuadoran President Rafael Correa have been arrested, with the president previously blaming "extreme right" opposition. Correa's email and Twitter accounts have been hacked, though it's unsure what the two suspects in custody allegedly breached. It's unknown what kind of sentence the two accused hackers could face if convicted of hacking the president, though likely won't be an enjoyable experience. "There are two people in custody who are being subjected to investigation having entered the president's accounts," said Galo Chiriboga, Ecuador's attorney general. Politicians are a popular target of cyberattacks, though criminals responsible tend to be caught for their high-profile exploits. 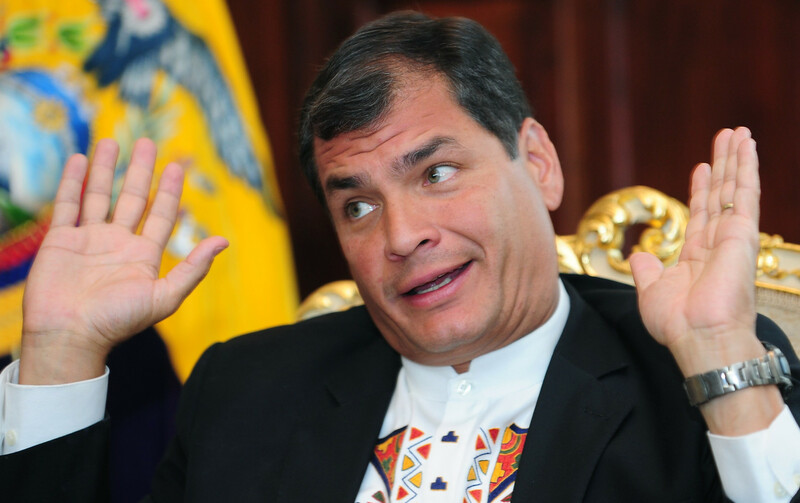 Ironically, Ecuador is just like many other Central and South American countries, in which citizens don't have free access to media - a growing political powder keg in the region.